The value of geophysics is the value of foresight. Using geophysics for geotechnical evaluation early in the infrastructure planning and engineering design process — before the 50% design level — can pay large dividends in public safety and reduced risk. The risk is always in what you don’t know. Minimize the unknown and you minimize risk, which is the role of geophysics. Some projects have all the earmarks of necessitating geophysical survey data as part of a successful design plan. 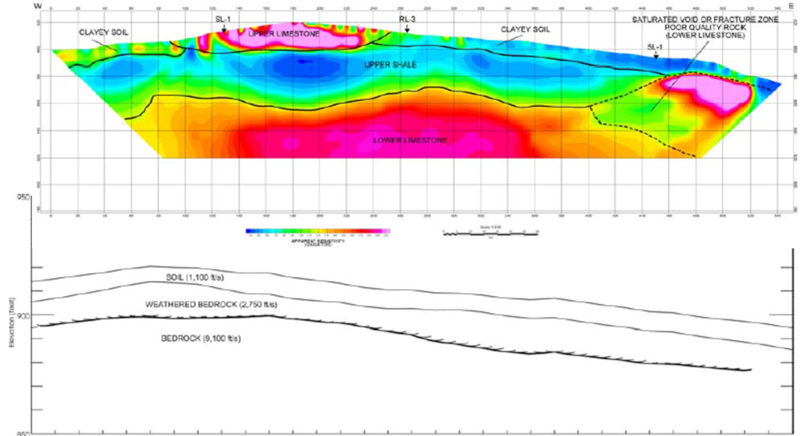 Zonge geophysicists can help you identify the indicators before the drilling, and the costly surprises, begin. 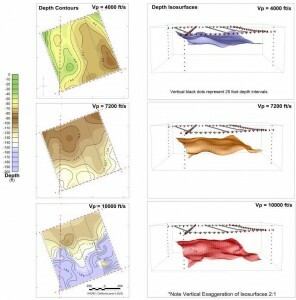 Surface-wave seismic techniques can provide appreciable cost and time savings over borehole methods for UBC/IBC site classification. The combined use of active and passive surface-wave techniques in urban areas can reduce the need for costly, heavy equipment such as bulldozers, electromechanical shakers and large weight drops. Although not all sites are favorable to using these methods, surface-wave testing is a global measurement in which a much larger volume of the subsurface is sampled. The resulting profile is representative of subsurface properties averaged over distances of 30 meters or more. Every project is unique. Experience in applying appropriate geophysical methods is necessary to providing information useful to geotechnical problems. Zonge integrates multiple techniques to produce a consistent, dependable interpretation for each job, whether for new construction or remediation. 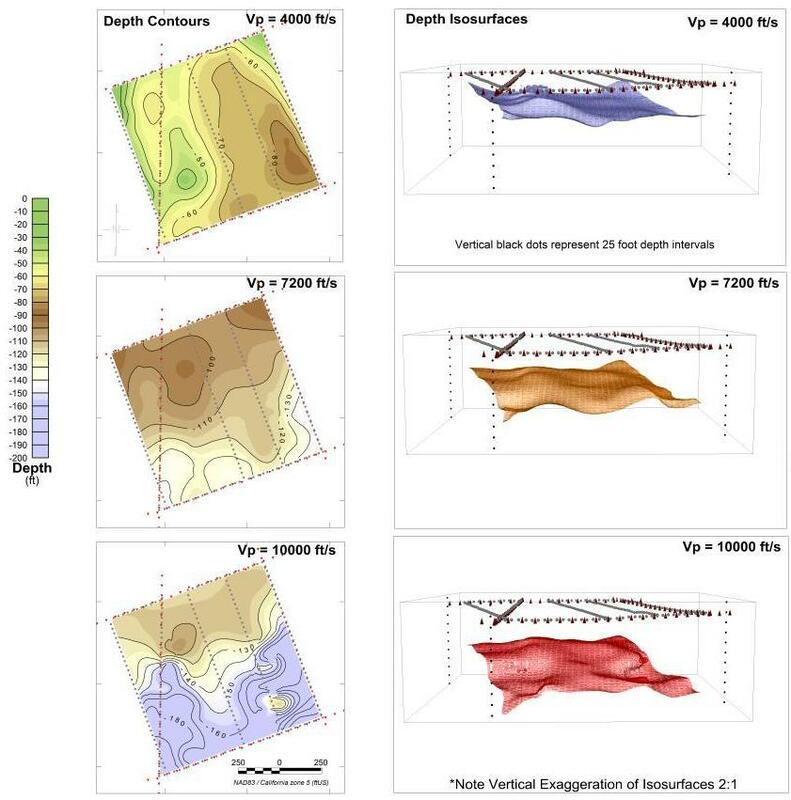 Left: Modeled electrical resistivity data (top) identified highly fractured zones within bedrock — poor quality rock — and seismic refraction (bottom) mapped sediment thickness and bedrock velocity along a highway retaining wall. Geophysical data also aided in better locating geotechnical borings for this project.